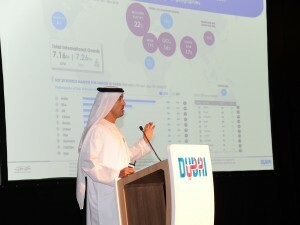 In its first biannual city briefing event of the year, Dubai’s Department of Tourism and Commerce Marketing (Dubai Tourism) highlighted its strategic framework, activities and campaigns in line with the Tourism Vision for 2020. Hosted for hotel establishments, destination management companies, event organisers, tourism attractions and government departments, the event was held at the Conrad Dubai with approximately 1,000 attendees. Keynote speeches at the latest briefing led by His Excellency Helal Saeed Almarri, Director-General, Dubai Tourism, provided valuable insights into the growth drivers behind Dubai’s record year-to-date international visitation, providing stakeholders with an in-depth analysis of the city’s visitor demographics and visitor satisfaction results from the annual Dubai Visitor Survey. Key successes and learnings from international marketing and business campaigns were also discussed. In addition, these keynotes covered the significance of Dubai’s robust calendar of retail and festival events spearheaded by Dubai Festivals and Retail Establishment (DFRE), and Dubai College of Tourism’s first-of-its-kind multi-disciplinary educational platform for the region. Both of these are key elements of the future outlook for tourism in Dubai and set to transform the city’s fast-evolving industry and the overall visitor experience. Another keynote was delivered by Manal Al Bayat, Senior Vice President – Business Development and Integration at Expo 2020 Dubai, who provided crucial insights into what can be expected in the lead up to the event and the legacy it will leave behind. Introducing 3D seat models on emirates.com, Emirates has becoming the first airline to introduce web virtual reality (VR) technology on its digital platform. The 3D seat model is a visualisation engine that displays an immersive 3D 360 degree view of the interior of the Emirates A380 and the Emirates Boeing 777, giving customers a chance to explore their seats, the spacious cabin and the Emirates onboard product. 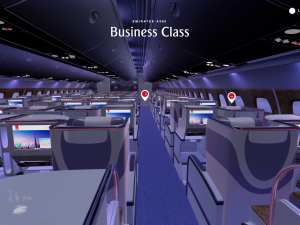 This new feature available on emirates.com allows users to navigate through the Economy, Business and First Class cabins, as well as the iconic Onboard Lounge and Shower Spa on the Emirates A380 using navigational hotspots. 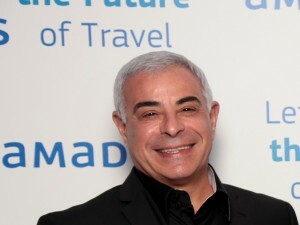 Alex Knigge, Senior Vice President -Corporate Communications, Marketing and Brand (Digital), Emirates said, “As we continually invest to provide our customers with an unmatched travel experience onboard and on the ground, we also work very hard to give our customers a world-class digital experience. 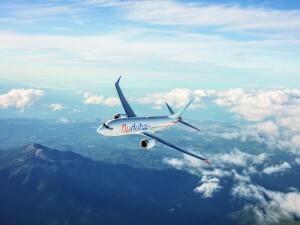 We are pleased to be the world’s first airline to introduce this cutting-edge web VR technology.” The high-quality 3D generated graphics offer an outstanding render that is close to reality. Customers accessing emirates.com via their mobile devices or the Emirates app for iOS and Android will also be able to explore their seats before checking in online with the 3D seat map. An MoU was signed at the Arabian Travel Market between Emirates and Mauritius to strengthen their partnership in future. It was signed by Orhan Abbas, Senior Vice President – Commercial Operations for Africa, Emirates’ and Devi Seewooruthun, Permanent Secretary, Ministry of Tourism, in the presence of Anil Gayan, Minister of Tourism, Republic of Mauritius, . “Mauritius has always been an important destination on the Emirates network, and we are pleased to be continuing our long standing commitment with them. We will look to develop a series of joint activities together with the Mauritius Tourism Promotion Authority, to highlight the destination and its appeal throughout our network”, said Abbas. “The partnership between Mauritius and Emirates has stood the test of time. The signing of this fresh MoU is a strong signal to strengthening that partnership even more in the years to come”, said Gayan. The agreement will see marketing activities such as attendance of tourism trade shows and fairs, trade familiarisation trips, product presentations and workshops, amongst others, be undertaken jointly by Emirates and the Tourism Board. In 2017, Mauritius welcomed 1,341,860 tourists. The destinations’ main markets are France, UK, Germany, South Africa, India, Italy, China, the Russian Federation and Reunion Island. 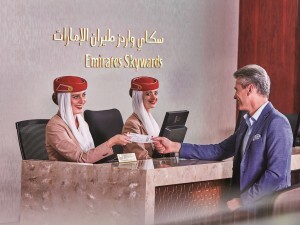 Emirates Skywards, a loyalty programme popular for its unique offerings has reached 20 million members. Those travelling from Dubai on Emirates flights during the week beginning March 4, 2018 can look forward to surprises at check-in, onboard and in the lounges for some of its longest-standing members. In an average month, Emirates Skywards welcomes 220,000 new members across the globe. The top five countries with the largest member bases are spread across four continents reflecting Emirates’ six-continent global network. UK has the biggest membership base at 2.6 million, followed by the US with 1.8 million members, Australia with 1.7 million members and India and the UAE following closely with 1.4 million members each. “The programme has evolved in the 17 years since its inception in line with changing travel and lifestyle habits. 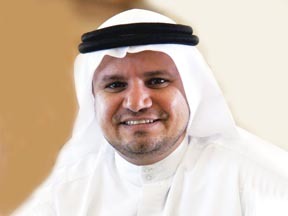 Emirates Skywards is focused on delivering ever more personalised experiences for its members. We provide a wide array of earn and redeem options across a number of categories – travel, retail and lifestyle and across geographies, leveraging more than 100 partners worldwide,” explains Dr Nejib Ben Khedher, Senior Vice President, Emirates Skywards.